Josh Schneider brings a fresh perspective and new deep insights into the world of work and organizational breakthrough. The need to unleash human potential has never been greater while the rewards have never been grander. His presentations bring an entirely unexpected perspective on the future of work, talent, innovation, and the power of doing work that matters. 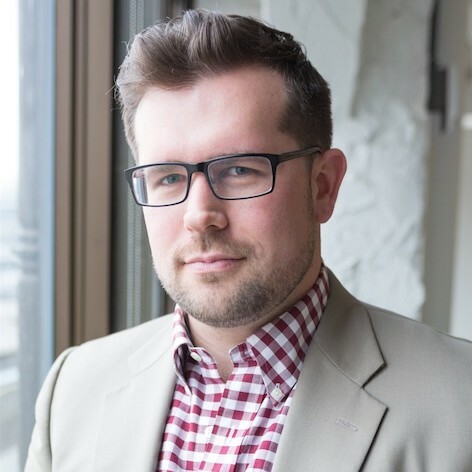 With a passion for helping to create greater understanding and collaboration in today’s workplace, Josh offers participants actionable content that can immediately impact business performance. Human potential has never been more ready for new strategies and insights on how to win in the new business economy Josh knows that sitting through a boring or off-topic speech is utterly painful. So he keeps things edgy and interactive. He uses stories and humor extensively to craft programs that are educational, inspirational, and entertaining. But whenever he’s in front of a group, of twenty-five people or twenty-five hundred, he provides valuable and actionable information about the new world of work and what future focused leaders can do to prepare for it. The greatest compliment to receive after delivering a keynote is "it felt like you really knew us". Brilliant content, actionable ideas and entertaining delivery are the standards to be first rate - but the research, phone calls, tweaking and customization to have the audience feeling like the message is specific to them and their needs. That's everything to me. Prior to Event: Hold 1-2 pre-keynote calls to identify outcomes, trends and the climate of your culture/attendees. Conduct 5-10 hours of industry, product research to deepen understanding and context of the challenges and opportunities facing the attendees. Modify visual presentation with the most relevant examples, ideas, videos. In addition if requested: Josh will conduct short phone interviews with (5-10) individuals who will be attending the event to understand their daily challenges, opportunities and what insights they are desiring. Josh will shoot a pre-event video introducing some of the content or welcoming/inviting individuals to the event. Josh will have a pre-keynote call with (CEO, Director, VP’s) to develop a full perspective of the challenges and opportunities facing the team and to identify the actionable items desired. Day of Event: Josh will touch base via phone call or txt when he arrives on site. Staying involved on the social media hashtag – In most scenarios Josh travels with his videographer/editor who records and creates videos on site to increase engagement and interaction with the participants. Josh makes it a priority, when travel allows, to mingle with the attendees, connect and add value before and after the event . Josh will have his own laptop, cords, plugs and backups of each in the event they are needed, as well as a backup of his customized presentation on an Ipad After the Event: Host a follow up phone call to touch base and discuss feedback Josh can record a short training video talking about the main take-aways from the keynote for you to email out to the attendees. Josh can offer a follow up, app-based course to help further the investment of the keynote and event. Find out more about Joshua Schneider at http://www.joshuaschneider.com.